When an aircraft crashes, it is important to investigate the cause, so that we can learn from it and prevent it in the future. Most countries have a similar structure set up to investigate accidents and incidents. Preference is given to the transportation investigation body (Responsible for all types of transport including air, rail and maritime), and if they decline to investigate, and investigation will be carried out by the aviation regulator in that country. Certification of airports, aircraft manufactorers, aviation organisations and air services such as weather forcasting. The investigation body is responsible for investigations for all aviation, rail and marine accidents which have implications to transport saftey. They can then make recommendations to all related partys including the countries regulator, to try and help prevent a future accident or incident from occuring. There are some standard steps that all investigators follow to make sure the investigation process runs smoothly. 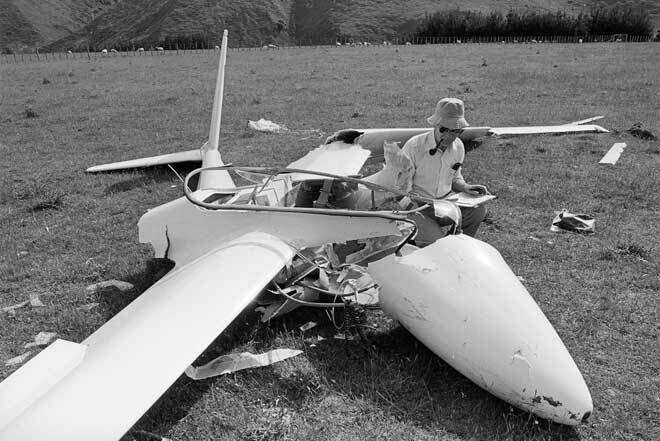 Isolate the crash site as soon as possible - evidence can deteriorate quickly, including paper blowing away. Call in a specialised team - not only will the main investigators be called in, but experts from both the aircraft manufacturer and engine manufactorer will be called in to provide expert knowledge on the operation of the particular aircraft. Gather facts in a methodical manner - Every aspect of the flight will be investigated, even if it is thought that it may be irrelevent. Factors include the aircraft, the pilot/ crew, the environmental condition at the time, and wider aspects such as company culture and operating procedures. If available, analyse the black box data - this data can be crutial in descovering what happened. Come to a conclusion about what happened. Investigators can never be sure that this is absolutly correct, but their conclusions are usually very accurate. Recommend changes if required - this is the most important step in the process. This could include regulation changes, a change in training processes, an increased maintenance requirement on that type of aircraft, etc. Traditionally, the cause of an accident was often blamed on "human error". The problem is that most accidents will have a human element involved in the cause. Modern investigation techniques focus on the "How" and "Why" rather than "Who", "What" & "Where". Laying blame is completely irrelevent in the grand scheme of accident prevention for the future. For more information, refer to this document by ICAO, as to why it is important to investigate the human factors behind an accident. Te Ara(2009). Air Crashes Retreived from the World Wide Web: http://www.teara.govt.nz/en/air-crashes/2/3 on 14 August 2009. Report your incidents here so we can all learn from them. While it may have been a close call for you, the next person may not be so lucky. Accident Investigation articles, some with videos. A more indepth look at why human factors are an important part of accident investigation.